IHS Markit’s research signals have been integrated with the Open:FactSet Marketplace. FactSet has expanded its alternative data ecosystem to include IHS Markit’s research signals as both firms seek to address challenges around data fragmentation. IHS Markit worked closely with FactSet on the expansion of the Open:FactSet Marketplace (OFM) and to integrate its research signals data, with plans to include further data feeds in OFM later this year. The research signals data feed covers more than 30,000 securities in more than 80 countries globally. 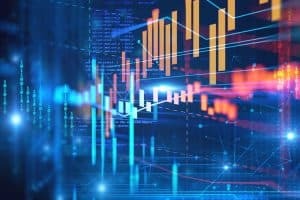 “Research signals brings a comprehensive library of traditional quantitative research factors and alternative data signals from IHS Markit to the OFM that investment managers can quickly integrate into their investment process,” said Sally Moore, global head of corporate development and strategic alliances at IHS Markit. FactSet has also introduced new features to the OFM, including a candidate program for data providers which allows clients to evaluate potential new datasets before they become available on the platform. Similarly, a community forum has been launched as a resource for clients to post reviews and sample code. IHS Markit and FactSet added that the integration of the data into OFM was carried out to ease data fragmentation and back-end connectivity so that clients can begin using the content immediately. Last month, IHS Markit confirmed it had made a strategic investment in blockchain technology provider Cobalt. The deal will see IHS Markit work alongside Cobalt to develop a shared post-trade infrastructure using blockchain technology.